Cook Remodeling was founded in 1979 by Jeff Cook, an experienced home remodeler who went door to door introducing himself and providing flyers that detailed his quality Phoenix Remodeling and home improvement services. From our humble beginnings, we have grown tremendously and have assembled a solid team of professionals who have joined the effort to help more homeowners discover the Cook Remodeling difference. We are the Arizona remodeling company that takes the time to design with your needs and remodeling budget in mind. We are there by your side to help you navigate through selections, making it easier for you to achieve your desired results. We build each remodeling project with the highest standards as if it were for our own home. Each client is considered a member of the Cook Remodeling family, and we aim to customize your home to fit your lifestyle. We took our vision, developed a blueprint, built a solid foundation, gathered the building blocks of Cook Remodeling’s Core Values, and raised the roof with our remodeling customer service delivery promise! To make the world a better place, one customized home and happy family at a time. 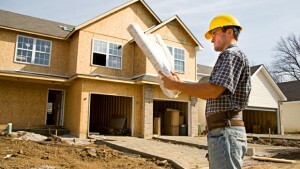 To be a great remodeling company to hire, and a great remodeling company to work for. Cook Remodeling will provide an award winning professional team to design and build a custom remodeling project that meets or exceeds homeowners’ expectations. Cook Remodeling will deliver exceptional customer service, transforming your house into the home of your dreams with an on-time, on-budget process and WOW quality results.